Lots of people go to Spain for the sunshine and the beaches. 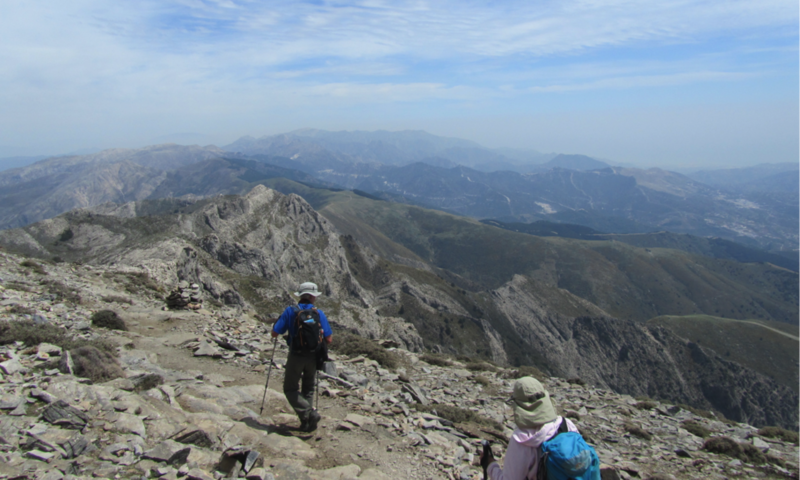 But Spain is full of wonderful mountain ranges, and is a paradise for hill walkers. I am publishing a series of guide books, written in English, providing walks in several different areas of Spain. The books go under the generic title SPANISH TRAILS. The first two editions, covering the Picos De Europa in the north and the Sierra Almijara and Tejeda in the south, are available now. For more details about my books, including how to buy them, visit the Publications page. For more information about walking in Spain, visit the Spanish Trails Info section. For updates on some of the walks included in my books, visit the Updates page.